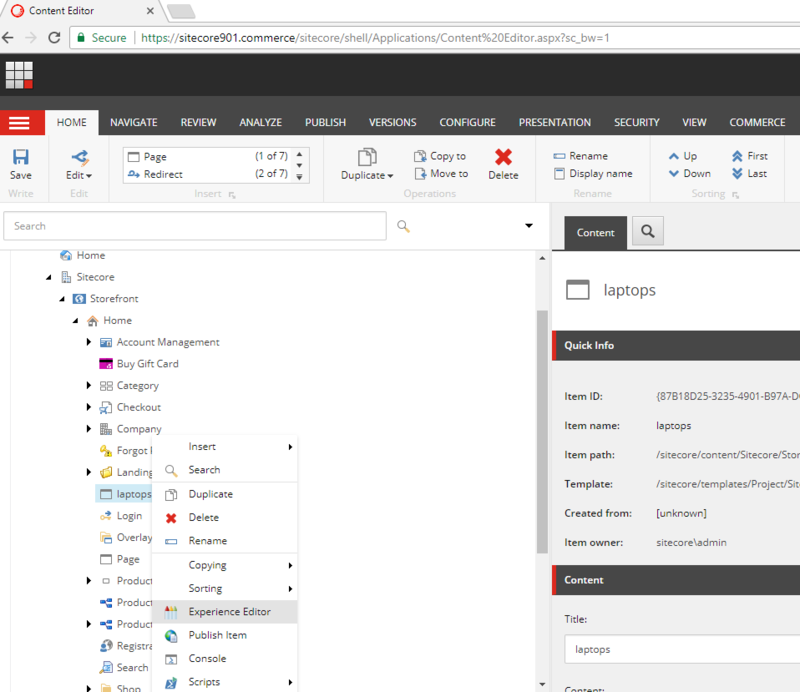 This is going to be a fun post and will show the real power of Sitecore Experience Commerce 9 combined with SxA Storefront components in “powerful ways”. We are going to create a landing page for our brand new model of a laptop. If you manage a commerce website, this is a very common scenario. As a company, you would be interested in creating a special landing page for promotional purposes. 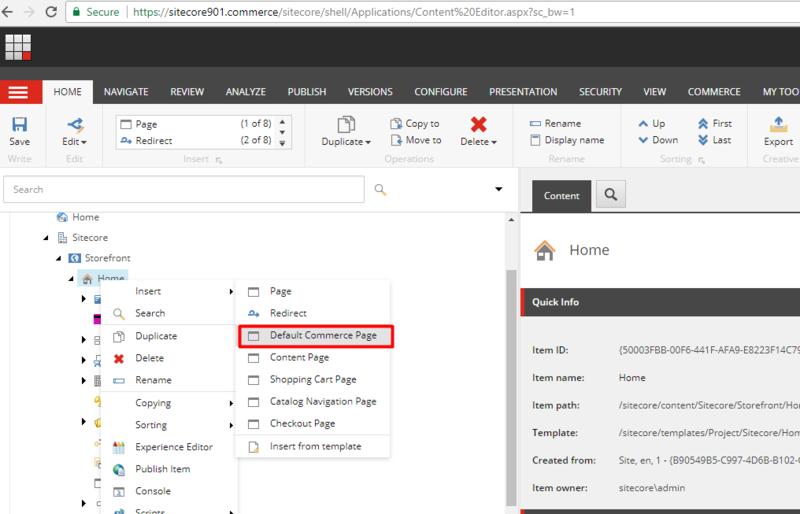 The blog is based on Sitecore Experience Commerce 9 initial release and the default Storefront, so lets start! In the middle part of the page, drag and drop ‘Catalog Item Container’ component. This is a special type of component which will serve as a ‘current context’ for all of the child components within this component. Drag and drop ‘Product Images’ component. 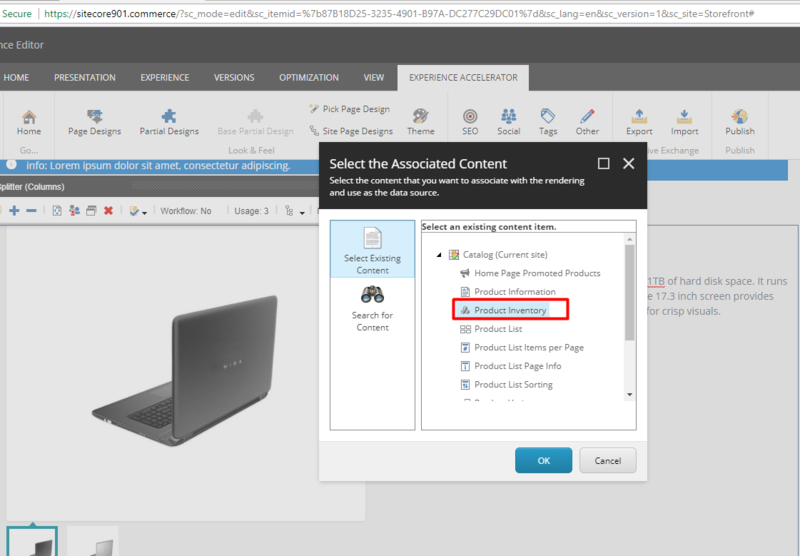 This will take the context of the product from ‘Catalog Item Container’ component and the images will show up. 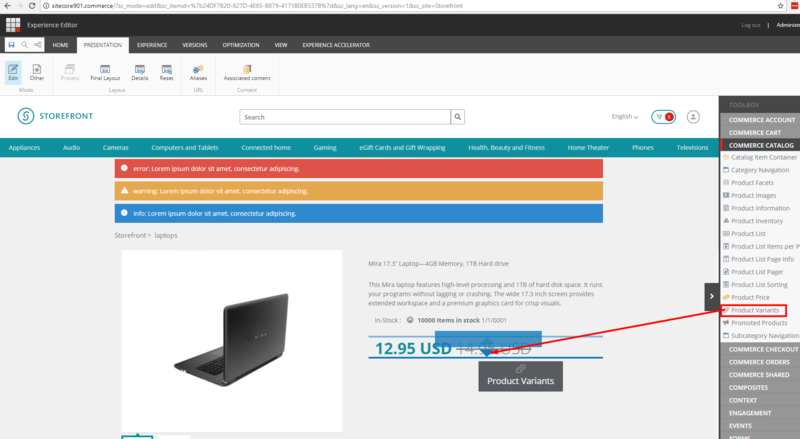 Drag and drop ‘Product Information’ component. 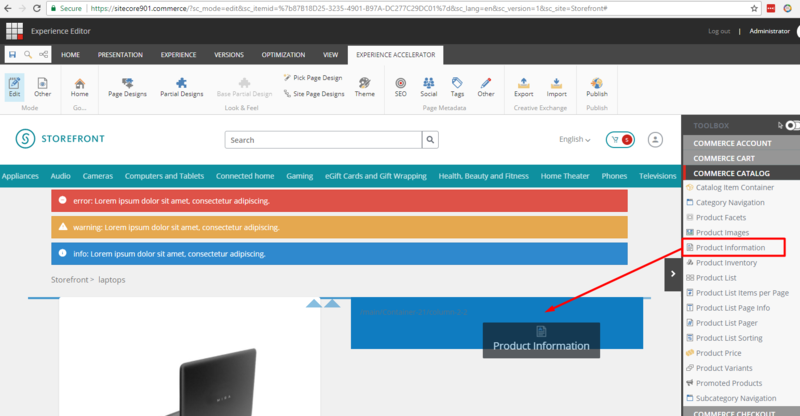 This will take the context of the product from ‘Catalog Item Container’ component and information will show up. Drag and drop ‘Product Inventory’ component. 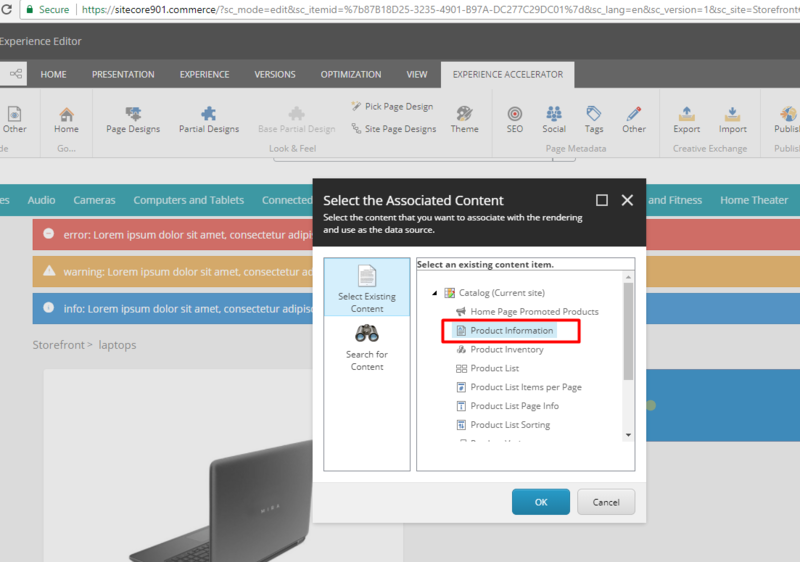 This will take the context of the product from ‘Catalog Item Container’ component. Drag and drop ‘Product Price’ component. 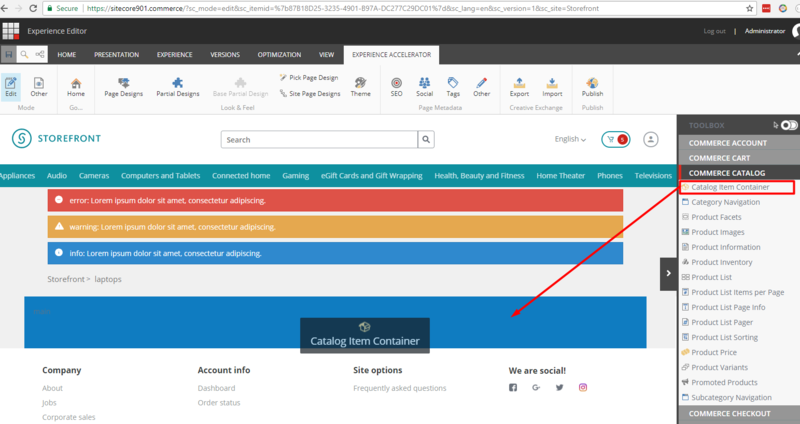 This will take the context of the product from ‘Catalog Item Container’ component. 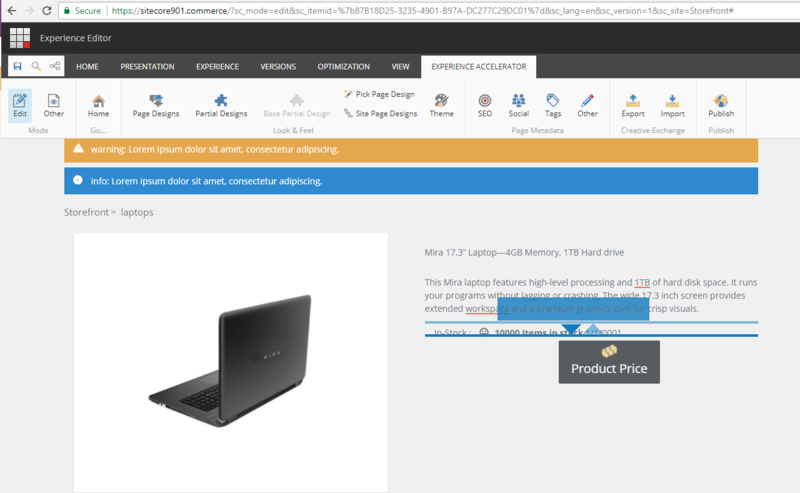 Drag and drop ‘product variant’ component and select pre-defined associated content. 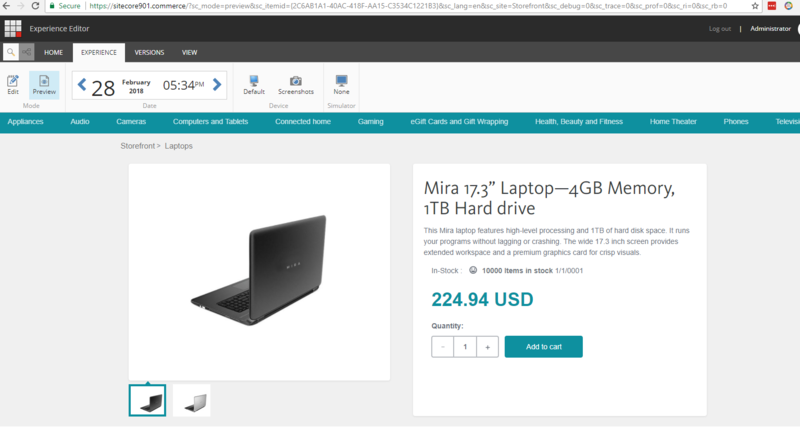 Drag and drop ‘Add to Cart’ component. Save and Preview the page. Publish the page and you are all set to rock the world! As you see, within 5 minutes I was able to setup a landing page for one of the product with help of some powerful components. I had the full flexibility over the page structure and design. 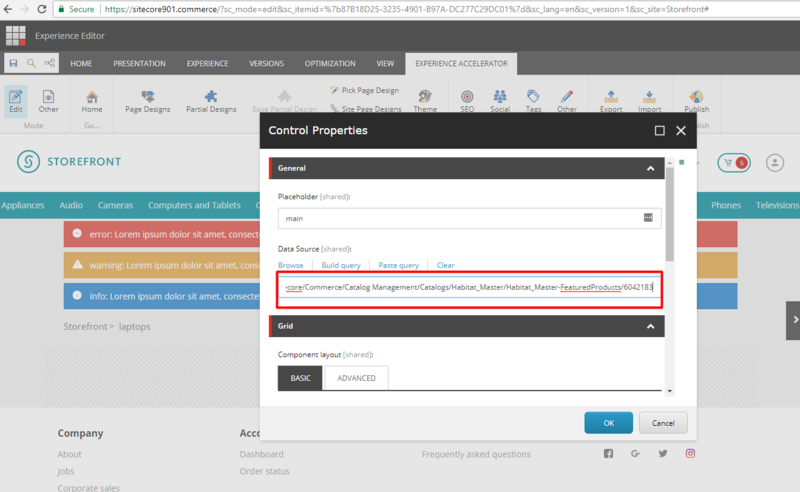 Now that is the real power of Sitecore Experience Commerce with SxA Storefront components. Go check it out! The video actually takes 3 minutes! There is no voice as it is self explanatory. 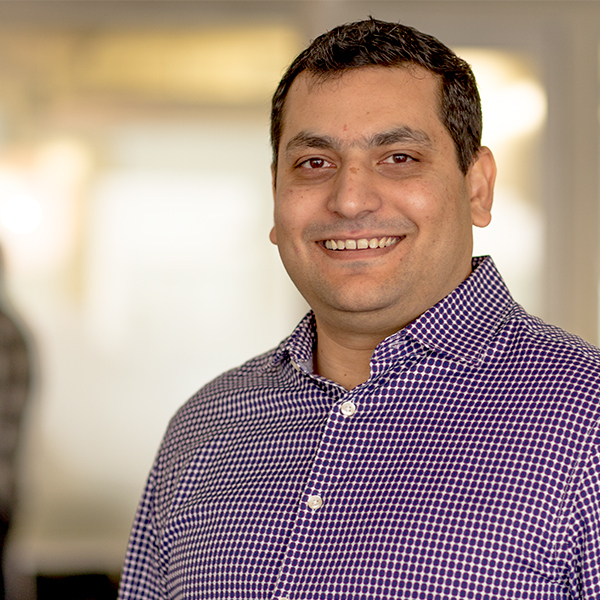 Hopefully you can provide more resources or examples of Sitecore XC9. Can you provide an example of how I can add an attribute to a product to display the complete process on the interface? Can you email me?I want to check with you by email.